So, your son or daughter is flying the nest and moving to a new city in September for university. There’s lots to think about; costs, safety, transport, diet…. accommodation? Where will your beloved offspring be resting their head at night, studying for those exams, cooking their meals, washing their clothes (well, the latter might still be with you)? For many parents the worry of where their child will be living can cause much anxiety. You want them to be safe, close to the university and in a good place to mix with peers and to meet new friends. Often university run or approved halls of residence are the best option to fill these criteria but they can be expensive, and with the cost of tutition fees and everything else a student needs, loans and overdrafts are soon into their tens of thousands! However, there is a solution that will not only save your child money but, earn you some in the process: invest in a buy-to-let student property. By purchasing a house in the city where your son or daughter is studying, you can allow them to live rent free whilst collecting an income from the other housemates. The figures are attractive too. You can expect to achieve average annual yields of 10% on the cost of your buy-to-let student property. Compare this to the 3% ISA interest rates offered by most banks and building societies and you are suddenly seeing an extremely profitable investment. What’s involved when buying a buy-to-let student property? If a buy-to-let student property is a viable option for you, make sure you do your homework. 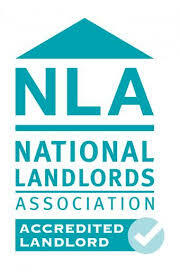 Ask any landlord, being a landlord is no easy task. Researching possible locations, the type of property you wish to purchase, and determining if any work or alterations need to be done to the property are all considerations. An investment of this size will require professional advice to ensure you are within the law and meeting building and planning regulations with regards to Houses in Multiple Occupation (HMO) legislation. And once your child and their housemates move in there’s also the matter of maintenance to think about. If you live in Doncaster and your buy-to-let student property is in Liverpool, who do you contact when your tenants call to tell you the boiler has broken or the shower is leaking? Many landlords opt to have their properties managed by letting agents such as Mistoria Estate Agents who eliminate all the stress of repairs and faults. There’s lots to think about when purchasing a buy-to-let student property but the returns speak for themselves. If you would like some expert help sourcing, financing and/or managing your buy-to-let student property The Mistoria Group tick all the boxes. Our teams of financial, property, lettings and maintenance professionals can make your journey from parent to buy-to-let student property portfolio holder a smooth one.